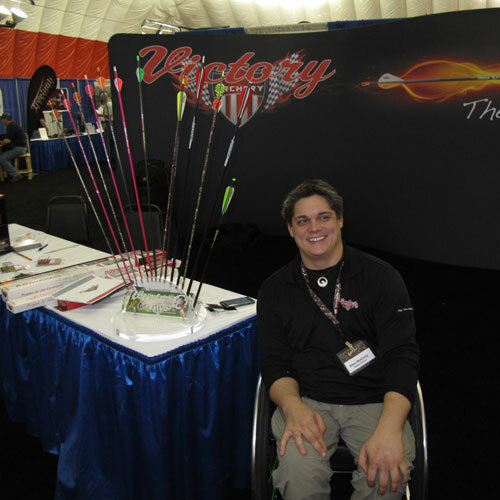 Come along as Archery Business checks out all the new-for-2013 bows and gear. Some of the best new bow gear for 2013 was on display at the 5th Annual Mathews Retailer Business Show, held December 3-5 at the Chula Vista Resort in Wisconsin Dells, WI. Several members of team Archery Business were on hand for the show that is held exclusively for Mathews retailers, Lost Camo licensees, and Mathews TV sponsors—and highlights all the latest Mathews and Mission bows and Lost Camo licensed products. More than 150 Lost Camo licensees and nearly 400 Mathews retailers were on hand for the event, which also offered an opportunity to “test drive” the latest Mathews bows, which include the Creed with its new Simplex Solocam design, and the Monster Chill dual cam, part of the Mathews McPherson Series line. 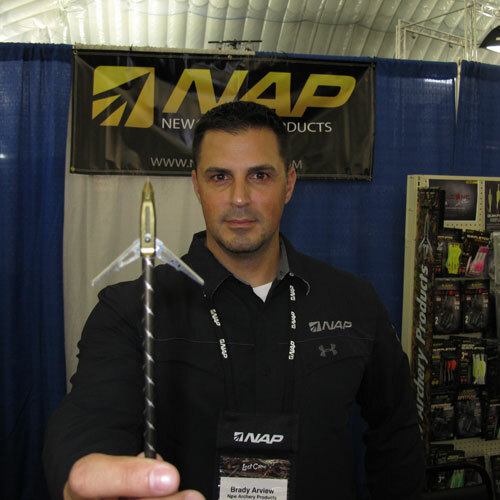 Looking for a dependable mechanical broadhead with a nice wide cutting diameter? Check out the Killzone Max from New Archery Products, featuring an awesome 2 3/8-inch cutting diameter, shown here by Brady Arview. 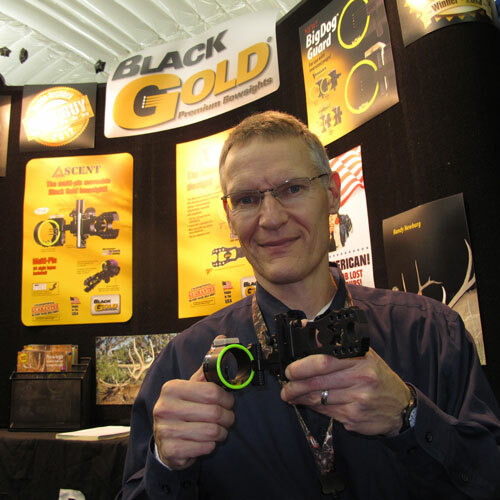 Black Gold’s Mike Ellig with his neat-looking Ascent moveable sight—complete with high-vis sight ring that offers serious accuracy advantages.